Jases Water Cartage is a household water delivery service providing Certified A-Grade water to our Customers. Our Truck carries 10,000 litres. 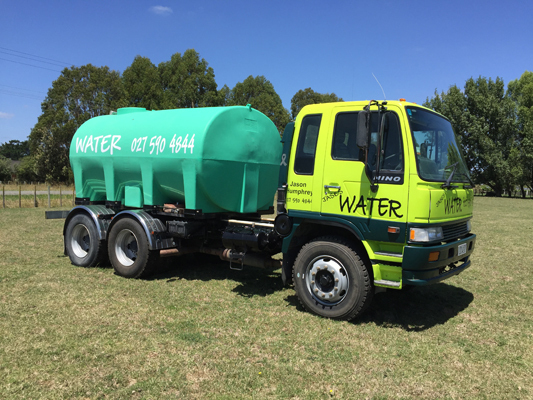 We pride ourselves on providing friendly, efficient and prompt household water delivery to properties in the Palmerston North and Manawatu areas.